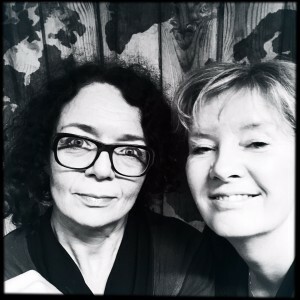 Meet Anita de Wit and Joanneke Lootsma, the executive board driving ReBlend, a Dutch upcycling startup that turns non-wearable clothes into new textiles and fashion. I recently met them at a B Corp event and was so inspired by their fabrics and story that I planned this interview with them. Here’s what they had to say about positive change through innovation, partnership and upcycling. Sustainability is all about blending economic, social and environmental interests. The current model of thinking is dominated by the economic interests, and does not factor in all social and ecological costs. On average, the production of a pair of jeans involves 7000 liters of water, 23,5 kg of CO2 emissions and unethical labor practices. Somebody does pay the price of the social and environmental impacts; but we’re quick to close our eyes and hearts to that reality. As ReBlend, we’re striving for a world where products are assessed and valued based on their true costs, beyond just the financial aspects. ReBlend started from Anita’s personal insight that food and clothes play a special role in our lives. 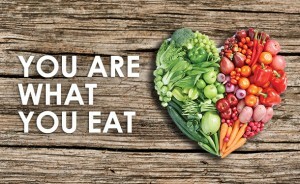 “You are what you eat” is also true for you what you wear. Your clothes are part of expressing who you are and who you aspire to be. Are we really comfortable buying new clothes that use excessive amounts of water and chemicals and are produced in poor working conditions? Clothes and other textiles can have such an impact on how you feel and what you do. Just imagine if we could nudge people to act more consciously, because they’re wearing ‘clean’ clothes and are sitting on ‘clean’ chairs, produced without harm to the people and the environment in the supply chain. Sustainable fashion can take many forms. It starts with high quality classic designs that can be worn year after year reduce the need to buy a whole new wardrobe every season. As for the fast fashion that we really don’t want to wear again and again, there are now many ways to ensure the clothes are reused by others. And for the mountains of no longer wearable clothes, the choices were limited to downcycling (to filler materials and cleaning cloths), incineration or landfill. Anita and Joanneke met in 2013, at a debate led by visionary economist Noreena Hertz. We both felt there had to be a better way to deal with the imbalance between excessive consumption of new fibers and global scarcity of raw materials and clean water. We realized that we would have to unravel the textile ecosystem and need to reblend the interests of many parties. Working with designers, producers and pioneers, we managed to create new yarn by upcycling fibres from old clothes. 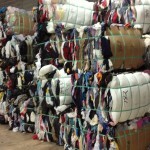 By sorting and processing old clothes carefully, we can create many different colors and blends. To strengthen the fibers, we’ve added recycled PET. 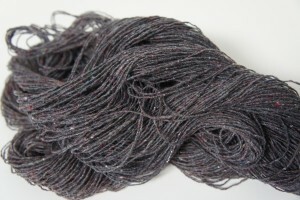 This also allows us to consistently give the yarn any color desired. To effectively drive change, we have to innovate and experiment. This means we don’t always know exactly how and where things will go. All partners in the ReBlend ecosystem have their own goals, and we are all convinced we have to collaborate to succeed. Finding the overlap in our goals helps us partner for change, but the path of experimentation can be quite unpredictable. With each major step, we have to address the possibilities and boundaries of the partnerships. To make it all happen, we have to continuously ensure there’s shared ownership and clarity on strengths and vulnerabilities in the ecosystem. Working with many experts and pioneers, we’re very proud to now have yarn, samples and fabrics to show. And soon we’ll have the first Ahrend chairs upholstered with our textiles and our high-end fashion collection designed in close cooperation with BYBROWN‘s Melanie Brown. Starting with high-end fashion is part of our model of change, counting on mainstream manufacturers to follow. We’re now ready to scale up and are actively seeking new partners in high-end and mainstream fashion to make use of this upcycling opportunity. In the coming months, we’ll be launching our first fundraising campaign on Kickstarter. And of course, we hope to inspire others in the fashion industry to rethink their paradigms. Wouldn’t it be great if we can only buy clothes that we’re proud to wear, because they don’t just help us express ourselves, but also for what we stand? The interview took place in the inspiring Ahrend Innovation Center. For more information about Anita, Joanneke and ReBlend, please check out the ReBlend website or follow them on Facebook and Pinterest. They’ll also be featured in an upcoming documentary about upcycling startups, produced by Sara Blom. Written by Marjolein Baghuis (@mbaghuis) for Change in Context. To read about other interesting people, book reviews and other posts about leadership, change and sustainability, please subscribe. Who needs aspiration? Start from where you are!